Pretty big book news (in a couple of ways)! 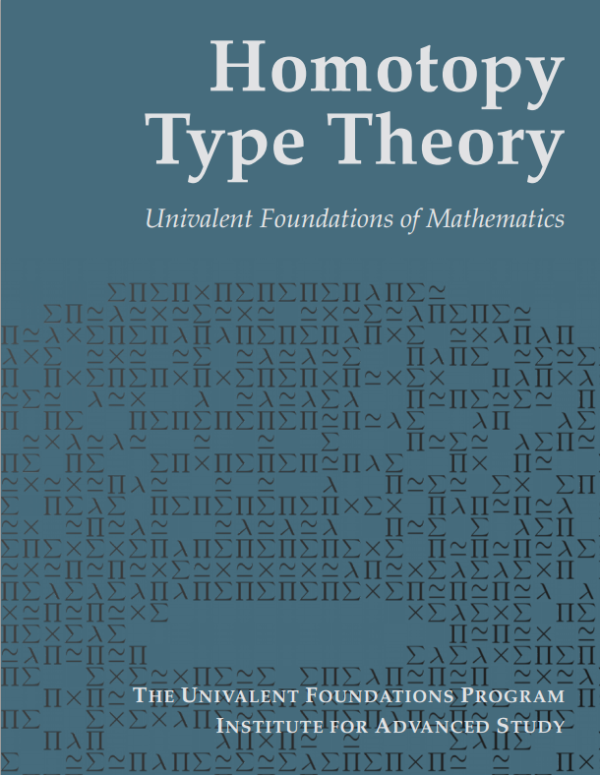 The Univalent Foundations Program at the Institute for Advanced Study in Princeton has released a 470-page textbook resetting the foundations of mathematics on homotopy type theory. It’s called Homotopy Type Theory: Univalent Foundations of Mathematics.